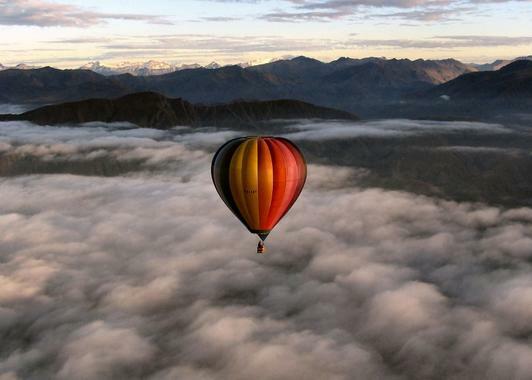 Sunrise Balloons upholds unparalleled service safety style and comfort since 1975. 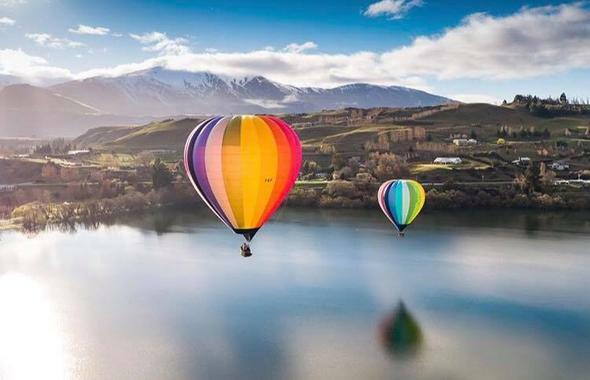 The colorful non-logo and modern hot air balloons with the latest and greatest industry standards provides phenomenal photo opportunities with the safety and comfort features are renowned for. 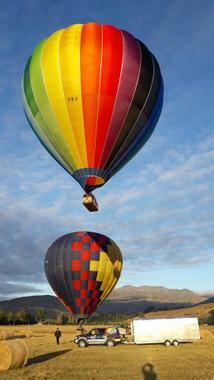 Dan Glick founder of Sunrise Balloons has well over 7000 hours in both commercial hot air balloons and Helicopters. All pilots and equipment is fully compliant. The established record and thousands of Thank Letters speaks volumes for the quality of the balloon outings pilots and attention to detail. 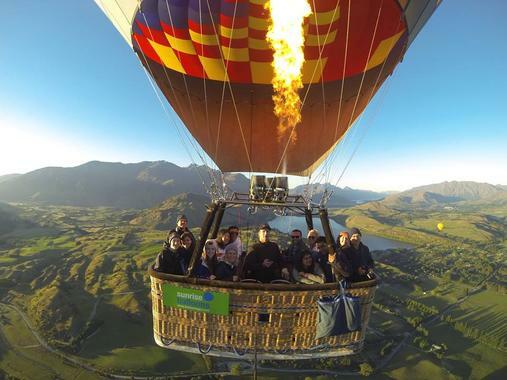 As we rise to altitudes as high as 6000ft and drift with the breeze, you will witness quite possibly the best panoramic views of Queenstown and its surrounds - “The Hobbit” filming locations, Southern Alps, Lake Wakatipu, The Remarkables mountain range, NZ’s finest golf courses and much, much more. We encourage our passengers to assist the crew to inflate the balloon and also to help pack it away after the flight. Celebrate your once-in-a-lifetime experience with a delightful champagne celebration with pastries and muffins in the field after your flight. 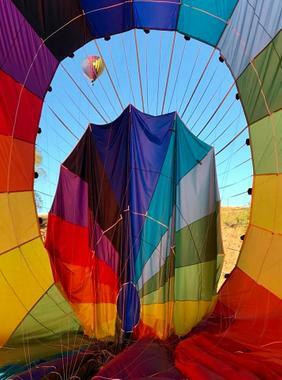 Sunrise Balloons is a family-owned and operated company which has been flying in the region since 1998. Transport is provided to and from accommodation in Fernhill, Queenstown and Frankton Road, if your Hotel is outside this area we will arrange a convenient meeting point. Launch site is only a 15 minute drive from downtown Queenstown! Passengers need to call Sunrise Balloons 45 minutes before pick up time to find out if flight is operating (weather permitting). Flights are at dawn when the air is cool and calm. Dawn varies from 5AM in midsummer to 8AM in winter, allow 3½-4 hours for the experience. We have views of Coronet Peak and The Remarkables ski areas, Mount Aspiring in the Southern Alps and Mount Tutoko in Fiordland National Park. 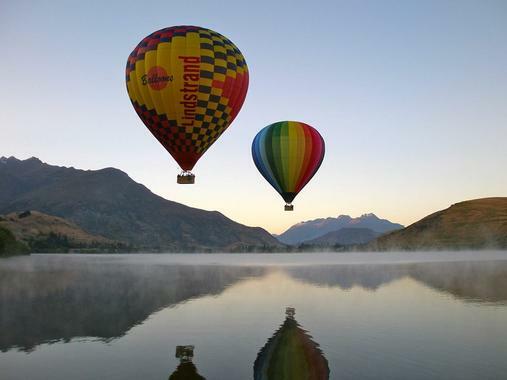 We also see Lake Wakatipu, Lake Hayes, the Shotover and Kawarau rivers. Some locations used in "The Lord Of The Rings" can also be seen, for example, The Ford Of Bruinen; Dimrill Dale; The Gates of Argonath; The Pillars Of The Kings. Also visible is Mount Earnslaw, one of the great mountains seen in Isengard.